If you’re from outside the US, you may be reading this and wondering ‘Where?’. You may even be wondering that if you’re American but not a Midwesterner. Either way, get ready for a locally feted region with attractions to rival national treasures. Michigan’s Upper Peninsula is an area of stunning natural beauty and charming, Norman Rockwell-esque towns and villages. Because it’s a destination mainly for Midwesterners, prices are reasonable, crowds are comparatively few, and the feeling of the area is casual and relaxed. The region boasts historic lighthouses, hundreds of miles of beaches and lakeshore, some of the country’s oldest forests, and more than 300 waterfalls, ranging from the tiddly to the spectacular. Car-free Mackinac Island is a standout visitor draw: its 10-sq-km interior is replete with quaint shops and gorgeous views. Not to mention the golf. There are some world class courses in the UP: among them Greywalls in Marquette, Sweetgrass in Harris, and Timberstone in Iron Mountain. 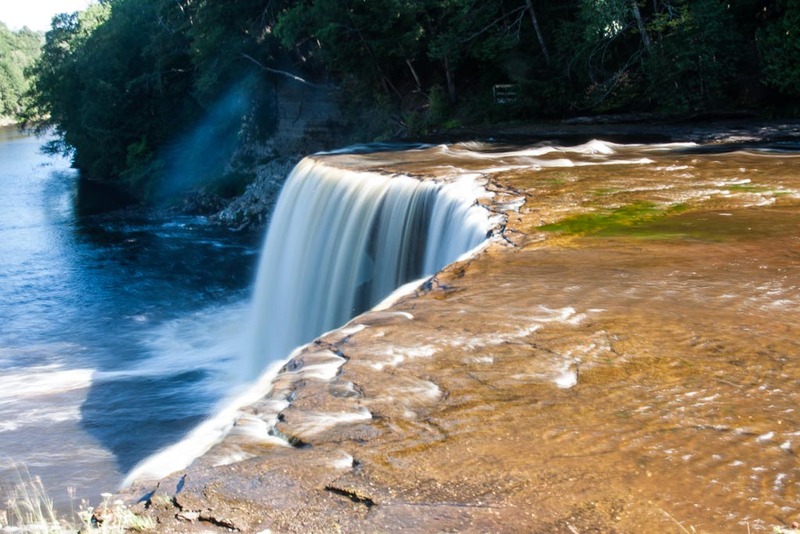 Tahquamenon Falls, near Paradise, Michigan (see photo at top) is a beautiful state park. 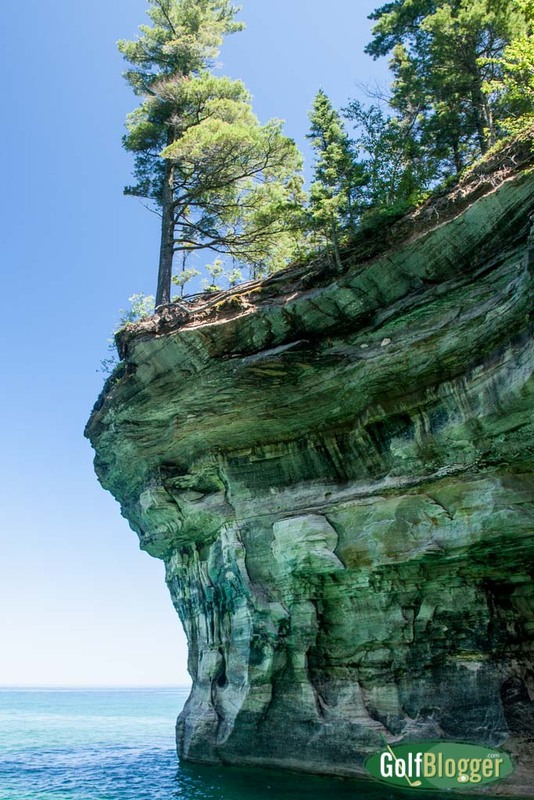 Another must-see: Pictured Rocks National Lakeshore, a spectacular 42-mile stretch of colored sandstone cliffs and rock formations, waterfalls, dunes and wilderness. The cliffs themselves are best viewed by boat. Fortunately, there is a large charter craft with regular sightseeing trips. Compared to the coasts, and typical resort destinations, I can see why Loney Planet considers Michigan’s UP a best value destination. Food and lodging are relatively inexpensive, as are the activities. As for golf, the most expensive course I’ve played there, Greywalls is $130 a round, which is expensive for Michigan, but far less than you’d pay at similar courses elsewhere. Timberstone is $79. Sweetgrass is part of the Island Resort and Casino, which offers some terrific stay-and-play deals. 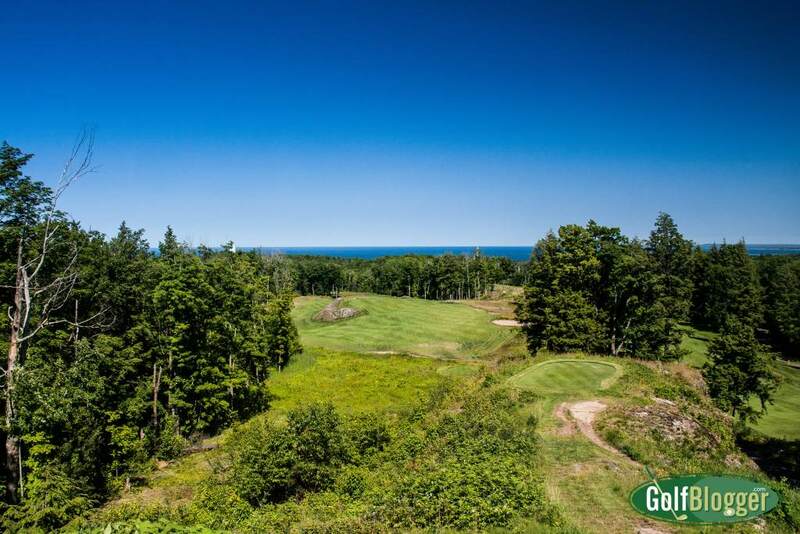 My advice is to stay at the Island Resort and take advantage of the deal they have to play Sweetgrass, Timberstone and Greywalls, all of which are a relatively short drive from one another.